WHO’S OUT: Seniors CJ Fair and Baye Moussa Keita leave as one of the most successful classes in Syracuse history. Consider that the two were on two separate No. 1 teams (2012, 2014) and were on teams that went to back-to-back Elite 8s for the first time in program history. Plus, both played on the 2013 team, one of only five Syracuse teams to advance the NCAA Final Four. Also gone is freshman Tyler Ennis, who was a steady force in Syracuse’s 25-0 start, including a dramatic 30-foot shot against Pittsburgh in February to beat the buzzer. WHO MAY BE OUT: Jerami Grant oozes athleticism and will, at the very least, test the NBA waters before ultimately making a decision. Several mock drafts have him going in the middle to end of the first round of the 2014 NBA Draft. Kaleb Joseph: With Ennis out, Joseph now becomes the team’s de facto starting point guard. It will be Syracuse’s fourth different starting point guard in as many years, though SU has had fairly good success with each. Chris McCullough: By all indications, McCullough could be the inside scoring presence that the Orange have lacked in recent years. The highly touted wing could easily slide into the starting lineup if Grant decides to forgo his final two years of college. Chinonso Obokoh: The 6-9 shotblocker redshirted his first year at Syracuse, and will likely be looked at to fill a void left by Keita’s departure. He’s still raw, but will be playing limited minutes behind DaJuan Coleman and Rakeem Christmas at center. Rakeem Christmas: Christmas showed signs of becoming a threat on the offensive end, including a 12-point performance against Florida State to close the season. 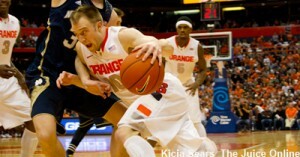 He certainly matured on the defensive end, but the Orange will need more from that from their senior center next year. DaJuan Coleman: Coleman should be fully healthy after knee surgery derailed his sophomore season. He was one of the most touted recruits of his class, and perhaps his junior year is the year that he puts it all together. Trevor Cooney: The mercurial guard had games where he seemed like he couldn’t miss (nine 3-pointers against Notre Dame), but he spent most of ACC play in a prolonged funk from downtown, and was non-existent in Syracuse’s final game against Dayton. Michael Gbinije: The Duke transfer showed he could be an effective slasher and shooter, and he’ll be counted on to play a bigger role in the team’s offense next year. With Ennis moving on to the NBA, Gbinije will still be asked to play some backup point guard duties. Tyler Roberson: Roberson will almost certainly see a larger role with Fair, and possibly Grant, gone. With the exception of Ennis, Roberson was the closest freshmen to cracking the rotation, even garnering a start when Grant was out with a back injury. BJ Johnson: Johnson only appeared in 10 games, and shot just 25 percent from the field. Eventually, Johnson could be looked at as one of the team’s sharpshooters, but with several wings ahead of him, it’s hard to see Johnson playing a bigger role in his sophomore season. Bus Patterson: With Ennis gone, Patterson figures to play a larger role in the team’s backcourt next season. EARLY MVP: If Grant returns, he will be at the center of the Syracuse offense. He’ll have another summer of working on his shot under his belt, and should be ready to assume the void left for him by Fair. If Grant decides to leave, Cooney is the only player among the team’s “Big 4” from last year to return. 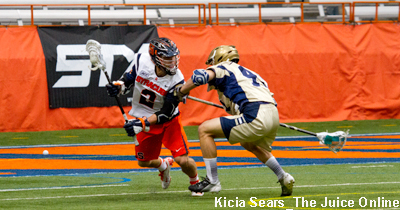 Many of Syracuse’s sharpshooters have made strides in consistency from their sophomore to junior years, and Cooney could fall in that line. EARLY MIP: Assuming that Grant makes the leap to the NBA, Roberson will be in line to not only start, but play a much larger role in the team’s offense. Kris Joseph jumped from 13.5 minutes per game and 3.4 ppg to 27.8 and 10.8 from freshmen to sophomore year. Roberson could make a similar leap if the minutes are there. EARLY DARK HORSE: We all saw that Christmas started developing a mini-hook toward the end of the season. It’s more than possible that Christmas makes that a more reliable part of his game over the summer and it becomes an effective low-post weapon for him next year. 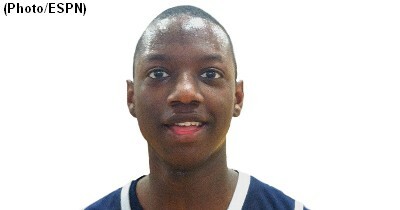 » Related: Will Jerami Grant return to Syracuse for his junior year? Can Joseph run the team? While we’ve heard great things about Joseph, there’s always a question of translating your game from the high school to college levels. Then again, Ennis did it seamlessly. Can Cooney become consistent? Cooney had a great start to the year, and still ended up shooting 37 percent from downtown. But he struggled mightily in conference play, and will need to be much more consistent from outside next year. Can Syracuse get production from the post? Between McCullough, Christmas and Coleman, Syracuse is betting on one of them providing points down low. Who of the sophomores will make the biggest impact? Roberson seems the most likely, but don’t count out Patterson, especially with the departure of Ennis. Will Grant stay or will he go? His return would return Syracuse would certainly make for a rosier outlook. Without him, Syracuse would be relying on several unproven players to pick up the slack.